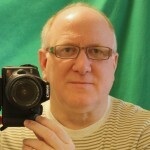 I am a huge fan of leather. I love the look. I love the smell. I love the feel. I go in every leather shop I run across in my travels. 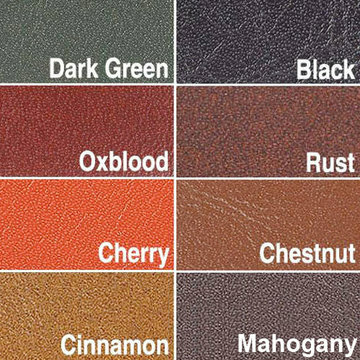 Leather is used for clothes, furniture, decorative applications, and more. Leather is both luxurious and casual depending on the type of leather and how it is used. When my wife bought me a large antique desk as a gift, we both thought a leather top would be a nice touch in the restoration process. I have not started the project yet, but have done the research on the leathering process and am ready to pass that knowledge on to you. 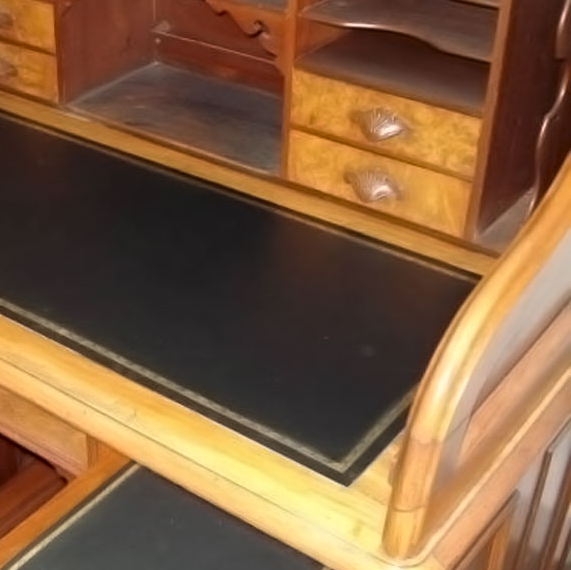 Installing a leather desk top is a fairly easy DIY project that is both fun and rewarding. It just takes some patience and prepping the desk top for the leather. 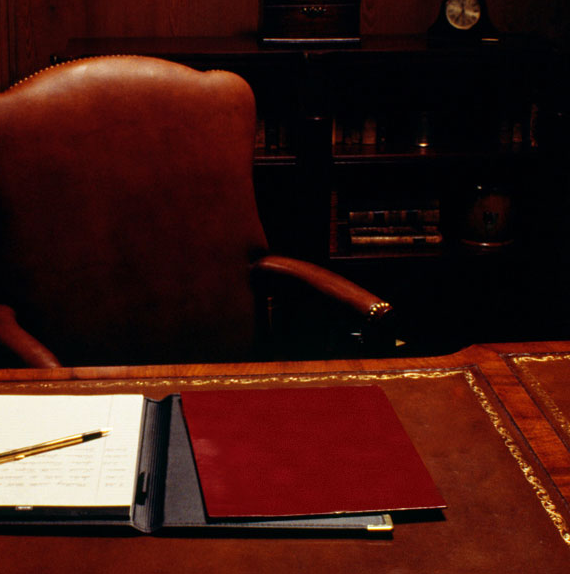 Desk top leather is a much thicker leather than leather hides used for decoration. 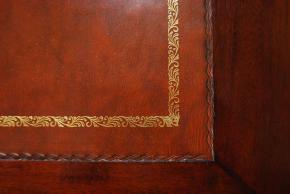 Van Dyke’s Restorers sells premium leather by the square inch with a 400 square inch minimum order. This beautiful leather includes two pigment coats and a protective lacquer top, giving the finish a durable yet traditional appearance. It is 1.0 mm thick (approximately 3/64 inch) with a bright, two-tone smooth finish. 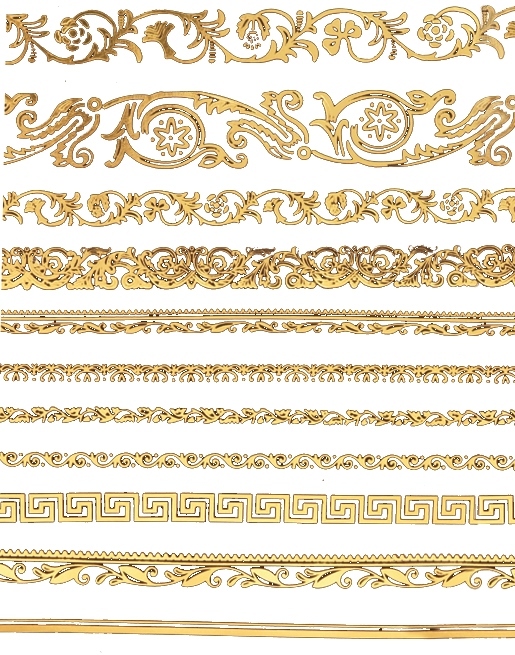 Choose from 11 embossed designs. inset 1/2 inch from the edge of leather. 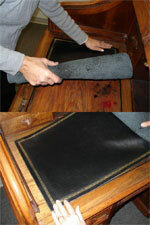 1 – Preparation – Clean the surface where the leather is being installed lightly sanding to smooth out any imperfections. 2 – Clean with a water and vinegar solution and let dry thoroughly. 3 – Mark off the area to be leathered with painters tape or draw the size on the desk with a marker. 4 – Fit the leather mat in place to make sure the size is correct. 5 – Spray water on the back of the leather. This will allow the leather to be more pliable and stretchy. 6 – Apply wall paper paste as your adhesive. Apply two coats to the wood. Allow first coat to dry one hour before applying the second coat. While the second coat is still wet, align the leather to the corners and edges. Push out all air bubbles and use a roller to roll the leather out. Do not roll too hard. Wall paper paste allows plenty of working time and doesn’t lump. Clean up is easy with warm water.